You might not be aware of this, but your foot goes through an inward roll with every step you take. This roll starts with the strike of your heel and continues all the way through the final push from your toes. We call this biomechanical process pronation. The rolling motion is important in ensuring that forces are equitably distributed across the foot. In fact, it is a critical element for proper shock absorption. It is important to understand that certain issues can develop when a foot pronates either excessively (overpronation) or not enough (supination). This is compared to a normal rolling motion of approximately fifteen percent. Overpronation is linked to flatfoot, whereas supination is related to cavus foot (high foot arches). If you are experiencing biomechanical issues in your feet, you can benefit from a gait analysis performed by Dr. Reister at our Richardson, TX office. Contact us today by calling (972) 690-5374 for more information or to request an appointment. You can also contact us online right now. What can I do at home to avoid foot problems? Clip your toenails straight across (not rounded) and even with the edge of your toes (not too short) to reduce your risk of ingrown toenails. Ask for help when carrying heavy objects, so they don’t accidently fall on your feet. Moisturize your feet after showering or bathing, and before going to bed, to prevent dry skin and cracked heels. Stretch your lower limbs, especially your Achilles tendons and calf muscles, to prevent heel pain from conditions like plantar fasciitis and Achilles tendinitis. Keep your feet and toes dry to lower your risk of developing fungal toenails. 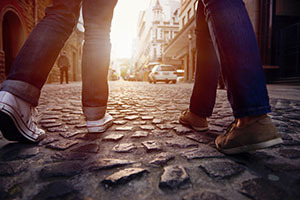 If you don’t have diabetes, consider walking barefoot at home to keep them dry. Don’t share towels, socks, or other objects with a family member who has a fungal infection, athlete’s foot, or a plantar wart. These are a just a couple of actions you can take at home to avoid foot problems. For additional prevention tips, or to request an appointment for professional foot care services, contact Richardson Podiatry Associates by calling (972) 690-5374 or take advantage of our online form to connect with us today. How does pregnancy affect my feet? Pregnancy affects a woman’s body in many ways, and there is so much happening during the nine months, which means it’s not surprising that feet can be overlooked. This doesn’t mean there aren’t any changes or increased risk of issues with the lower limbs, though. Edema – Feet and ankles can become swollen from excess fluids. Bigger feet – The body releases a hormone known as relaxin, which causes ligaments, including those in your feet, to loosen. Foot growth can also be attributed to the extra weight they are now carrying. 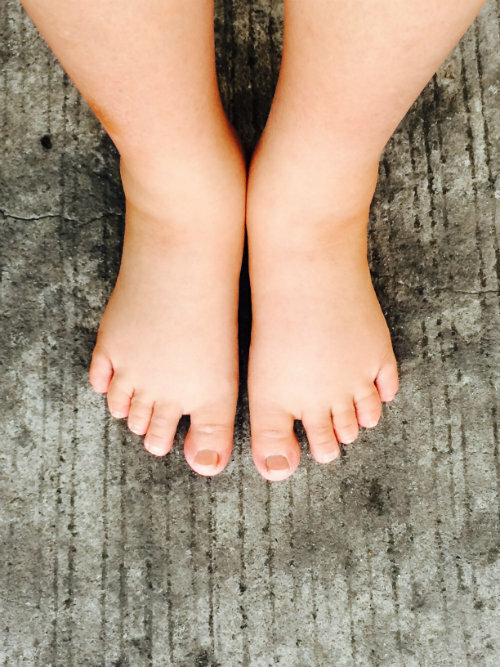 Fallen arches – In addition to contributing to foot growth, extra weight can also cause foot arches to collapse. Plantar fasciitis – This overuse injury that causes heel pain is common for all adults, but extra stress on the plantar fascia increases the risk during pregnancy. Muscle cramps – Pregnancy leads to more frequent muscle cramping, especially at night during the second trimester. For more information on the ways pregnancy affects your feet, or to receive treatment for lower limb issues, contact Richardson Podiatry Associates. Give us a call at (972) 690-5374 or request an appointment with us online today. Can orthotics help with high arch pain? Yes, custom orthotics can help with high arch pain. If you have high, rigid foot arches, physical forces on your feet are not distributed in an optimal manner. This is especially true during the gait cycle (when you walk). Orthotics can be crafted to provide additional arch support and modify any biomechanical abnormalities that take place while you walk. Both of these are instrumental in helping to relieve the pain that can come with cavus foot (high foot arches). When your high arches are causing pain and taking away your ability to perform favorite activities, Richardson Podiatry Associates can help. Our treatment plan will be customized to your unique situation and we may prescribe a pair of custom orthotic devices to provide the relief you need. Contact our Richardson, TX office by calling (972) 690-5374 and our friendly staff will answer any questions you might have. You can also schedule an appointment with us online today.